Thought all linear phase eq's sounded dull, and wished your favorite "regular" eq was linear phase? Well, here you are!! Based on our immensely popular algorithm from Equalizer V1 and VintagEQ, we present you the worlds first Linear Phase Equalizer based on analogue modelled recursive ("IIR") filters. Simply put: This is the ultimate mastering eq. Didn't know what you were waiting for? This is it! 2 world class EQ algorithms to choose from, a 31 band analiser, a phase meter, standard and graphic modes, high/low filters, 64 bit internal float...quite possibly the best plugin on the market today....This EQ rocks! and, Yes, it's a GREAT mastering EQ. PII REQUIRED. The best sounding, most versatile digital compressor around... Hard or Soft-knee limiting. Peak or RMS. A no-clip brick wall (zero stop), ultra-fast attack and release times, as well as input/output or gain reduction metering. Capable of desirable breathing and pumping qualities formerly attainable only by analoguedesign. Digital Delay has never been so easy! Or sounded so good. Individual Left/Right faders to control delay time and spin (feedback) Delay times up to 1.5 seconds! Tone controls for each channel, metering of input/output or delay levels. Gang locking of fader groups. 64-bit internal precision. Often referred to as best software reverb available on the market today, the 4080L combines superb early reflections with lush, rich tails to achieve silky reverbs formerly available only from hardware units costing thousands of dollars. 32 or 64-bit internal precision. Fast and reliable. Layer multiple instances for reallythick verbs. The model 88 brings back the phaser sounds we heard throughout the 70s. A bold, full bodied phaser with zero noise, astonishing frequency response, adjustable center frequency, 64 bit internal precision and ample control. Want a thick phazer?...or maybe just a hint of phasing...adjustments are quick and precise with theModel 88. For Mac and PC... Digi001 users rejoice!! The follow-up to our 4080L has arrived on your platform! New controls, more power, more sounds, equalization controls, and the pristine sound you have come to expect from us. It's here, and we are quite sure you're gonna love it. Demo versions available. For Mac and PC... A classic channel EQ strip with built-in dynamics as well as High and Low Filters. a Superior EQ design with highly accurate response curves and unsurpassed musicality. Six user routeable configurations offer the flexiblity to handle even the most demanding recording projects. This is a necessity for any Protools/Digi001 tracking studio. Demo versions available. For Mac and PC... The best sounding, most versatile digital compressor around... Hard or Soft-knee limiting. Peak or RMS. A no-clip brick wall (zero stop), ultra-fast attack and release times, as well as input/output or gain reduction metering. Capable of desirable breathing and pumping qualities formerly attainable only by analogue design. Demo versions available. A set of 4 eq's and a 36 db low-cut filter....No digital EQ has offered you this much! Perfect analogue simulation, 64-bit(!) processing, 2 algorithms (to let you choose the sound you want), and unprecidented speed. Both Algorithms- HARD and SOFT units for the Pulsar/Scope users... Put an end to those wimpy mixes! Are your mixes missing punch? definition? clarity? warmth? Do you just need to boost the levels and set a digital zero? 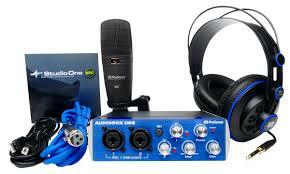 Features include Soft-clip compression/ limiting, 64 bit internal precision. and loudness maximization like you have never heard it before! No harsh or sterile sounding compression coming from this unit. Perceived gain increases of over 10db! Two separate compression algorithms and improved dithering to 16-bit give you the tools necessary to fix bad mixes. We're proud to announce P-100, a hardware-quality plate reverb, exclusively on the SCOPE platform. This is quite simply a *must* for all Pulsar and SCOPE users. At $99, the 'bang-for-the-buck' of this reverb will blow you away... Download the Demo today! We're proud to announce the A-100 and I-100 reverbs, exclusively on the SCOPE/PULSAR platform. The A-100 and the I-100 were meticulously and professionally modeled after one of the greatest reverbs of all time. The A-100 carefully creates the ambience of a room with a spacious and warm reverb effect and the I-100 allows you to control the envelop of the reverb... Download the Demo today!